Hyun Bin's first drama for me!! Firstly, I know that people compare this drama with Kill Me, Heal Me but I would like to mention that I've seen Kill Me, Heal Me before this one and let me tell you that only basic story about the main lead having DID and the main girl being the trigger is the same, other than these two I didn't find much similarities so its just wrong to judge this amazing show from Kill Me, Heal Me point of view. The story was awesome. I love the way how writer tried to show that no matter how many alter-egos, all of them together make ONE person. It was cute really, so I loved watching it though there was few holes here and there in the story. Ok so I started this drama because of Jang Na Ra and Seo In Guk like most out there!! And let me tell you, I wasn't disappointed! The basic story: How people become monsters is awesome! Like really really cool concept so I loved it, a lot at that! I loved how the story started but it got kind of boring after eight or ninth episode? I kept waiting for the climax which never came and just like that it ended! The end was pretty speedy, I was super confused so I had to read different discussions of the viewers to know what actually happened though it wasn't that bad =D. Acting was SUPERB! We all know about Seo In Guk who was awesome in this but for me, someone else surpassed him in this drama and that was Park Bo Gum! Seriously, this guy rocked the show with his complex character and PERFECT expressions! 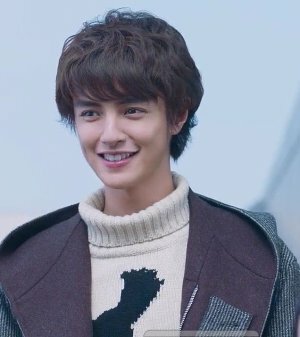 Looking forward to his work in the future dramas! Its been so long since I actually felt what the character was feeling, for me he was that good! Overall it was a good drama, I couldn't sit still until I finished it! Watched it like crazy! 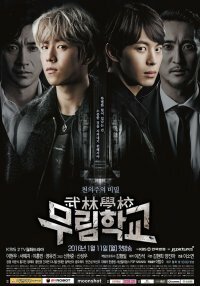 If you are a fan of crime-like dramas and root for bromance rather than romance than give it a shot!! First of, story line is LAME. Like literally LAME. My advise, don't waste your time with this one if you are into dramas with gonna-screw-you-over plots like me. The story is about a bunch of students in a martial arts school and it tends to show some supernatural things as well but they are hardly focused on. The story revolves around an once-idol falling for one of the students (it just suddenly happened and I'm still trying to make sense of it) and another rich boy who has eyes for this girl only. Romance wasn't particularly cute or attractive AT.ALL. Half the time I was trying to process how come they are already in love and from where all these feelings are coming from? Friendship was the only best thing in this whole drama. First few episodes of the drama were really good and kept making me want to go back to it again and again but then it changed so drastically that I kept processing the stuff happening till the end. It was like the acting, the plot every had fell apart. Music was good, I mean the OSTs and other tracks used in the drama. Two osts are from vixx (YAYY). Rewatch value? Not so much except for the friendship parts and some fighting scenes and THAT'S ALL. Plot overall is WOW! Simply! I love the story line and the concept a lot. It shows exactly how are people behind your back, it was painful to watch too but its true nevertheless. And the relationship between the characters was ok overall, I guess!! In simple words it was one of my most favorite Korean dramas ????? 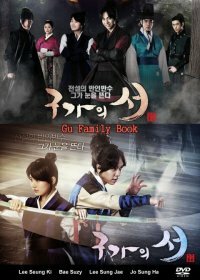 Okay this drama, plot wise was AMAZING but for me it was always Wol Ryung and Seo Hwa! What they had in first two episodes didn't get out of my head till the very end. They made me love them and they made me cry just in limited scenes they had. The music was one of the awesome things in this drama! I totally loved all the tunes and songs they played in the background. Not to mention 'Another Heaven by Yisabel'. It was a song for Wol Ryung and Seo Hwa and it was BEAUTIFUL. I started this drama because I really love the dramas based on youth and music! Once I started this, I couldn't stop because it was really really good! I love the story-line a lot because it was unpredictable and what it showed was real struggles one has to go through to achieve something. It is perfect example of 'To achieve something, you have to lose something'. The way story went up and down really surprised me because I couldn't predict what will happen next! I loved Lee Min-Ki's carefree and bold character and he is the one who forms the base for this drama also not to mention Sung Joon's impressive character and acting. Other boys were really good at their parts as well!! Songs of this drama are really really good. The music Eye Candy makes is the real one I mean they really had to sing the songs for this drama. I loved Jaywalking, Love you Like you (L ft Ye-Rim) and WakeUp. They were soo perfect according the situations the characters wrote them. I recommend everyone who love youth and music based dramas to give this drama a shot and trust me, you would LOVE it!! Overall story for this drama is really adorable and sweet. You never get to be bored anywhere also Lee Seung Gi was awesome in this drama with his hilarious acting. I loved his interactions with his grandfather who himself was really hilarious. Shin Min Ah was super adorable. I really loved her because of her innocent nature and love for almost everyone. Director Ban and Min Sook were love. They were seriously meant for each other and I loved them act like clumsy teenagers!!! Overall I gave 7.5 points just because I was super heartbroken because of Dong Joo and because the ending was a bit clumsy. I shouldn't be writing the review after giving low ratings but I really need to let it all out!! First, story: The basic story was vague, like really really weak. I couldn't understand whats happening most of the time. It was the big ent. company blocking everything for Perseverance and you come to know the answer to 'WHY' in the last two episodes!! Music is the best best thing in this drama. Really awesome song covers. I loved and enjoyed almost all of them so 9 points from me on this! I felt like leaving it in the starting two episodes because it wasn't making any sense but finally the plot started getting stronger and by the end I was crying with the characters.The story overall was SUPER. I am a big crazy fan for family stories and this one got me bad. Though I loved it but I didn't agree with all the aspects they showed in the drama. For once I really didn't like most of the decisions Ki Yeong made. Music was reaaaaaaaaaalllly good. It was funny in first few episodes but as the story progressed and became more serious, so did the music.